5. Monetary policy should focus on price stability and maximum unemployment. “We leave the Financial Crisis period with the same paradigm with which we entered it, central banks explaining they can’t affect real things, that they can affect inflation, and so that needs to be their sole focuses even as their ability to affect inflation is in substantially more doubt than it was some years ago”. 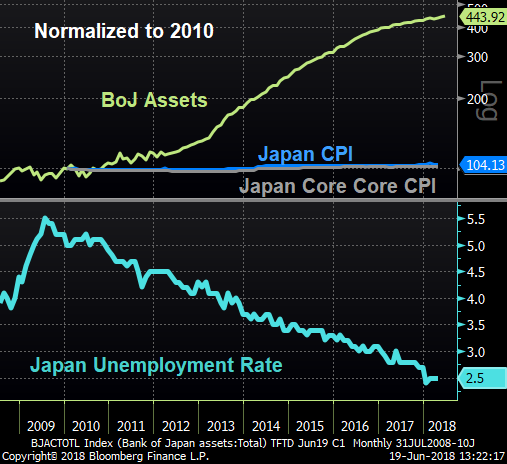 “The consequences of another economic downturn dwarf and massively exceed any adverse consequences associated with inflation pushing a bit above 2%”. “And the goal of monetary policy, I submit, should therefore be the goal that our fellow citizens have for monetary policy, which is price stability, yes, but also maximum sustained full employment. And that is going to be an increasing challenge for us in the years ahead”.